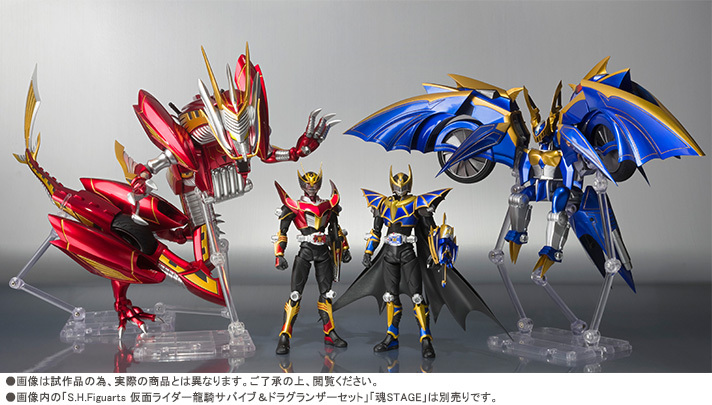 Been missing Kamen Rider Ryuki and the gang of 13 Riders lately? 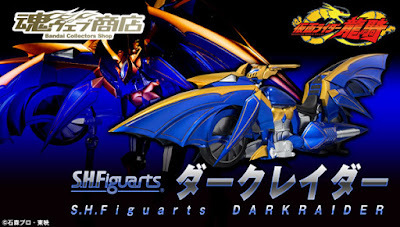 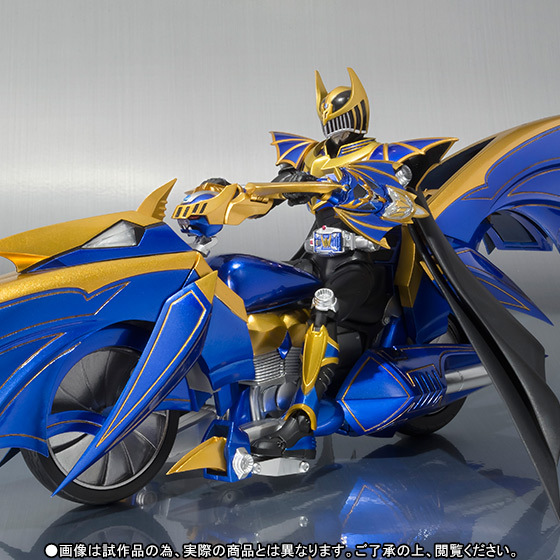 Well worry no more as we bring you some official images for Kamen Rider Knight's (in Survive Form) trusty super machine, Dark Wing in it's power-up state, Dark Raider in FiguArts form. 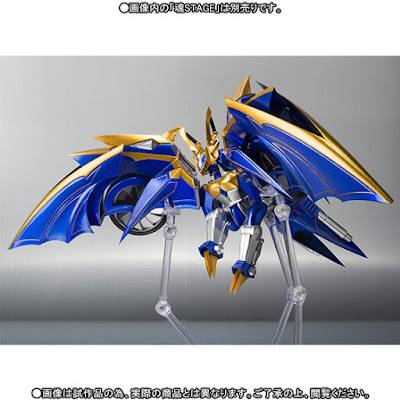 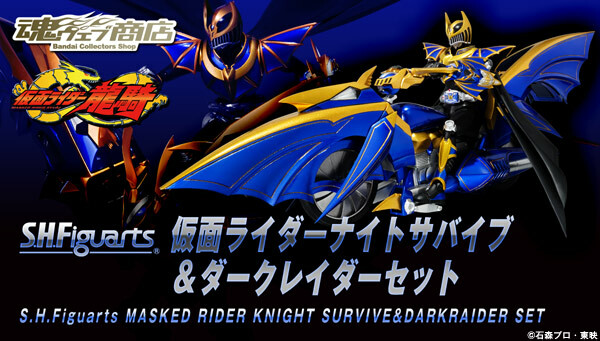 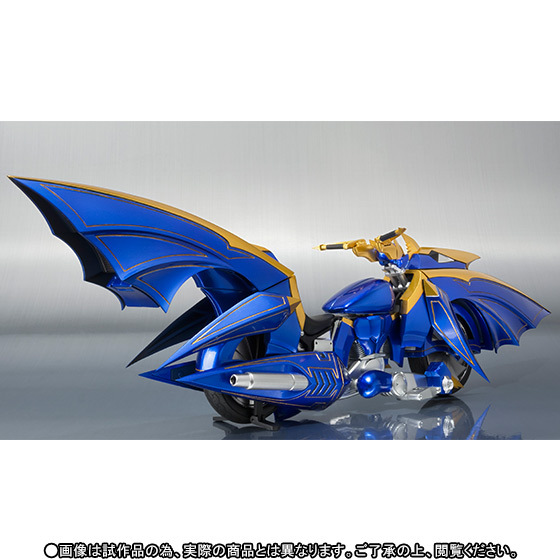 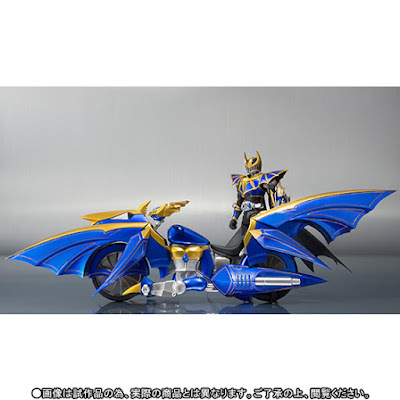 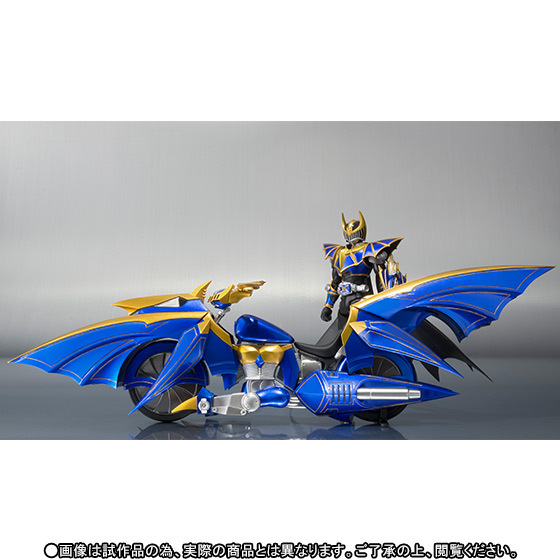 This new advent monster vehicle will come as a partner for the S.H, FiguArts Kamen Rider Knight Survive (a 2 pack Tamashii Web Exclusive) and will cost 16,200 yen (whoa...) and will include replacement wrist, Dark Visor, 2 versions of the Dark Blade, Advent cards, cape parts and a Tamashii stage. 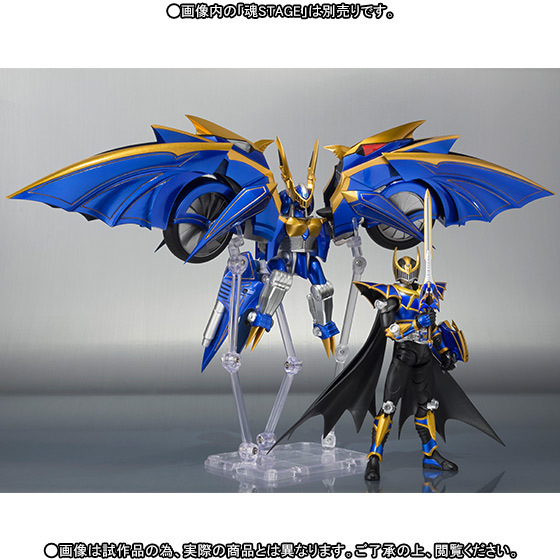 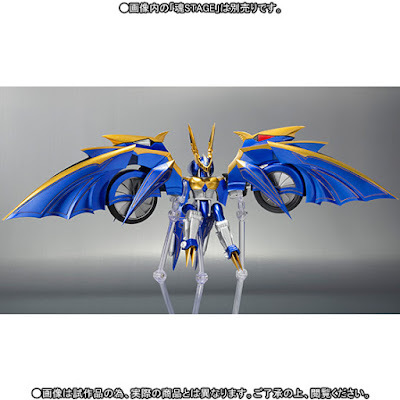 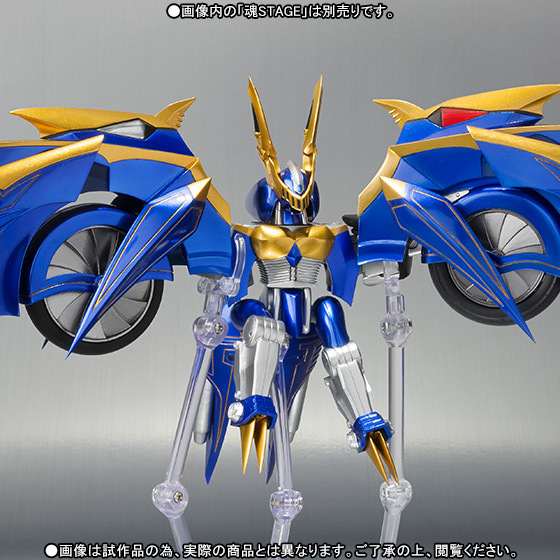 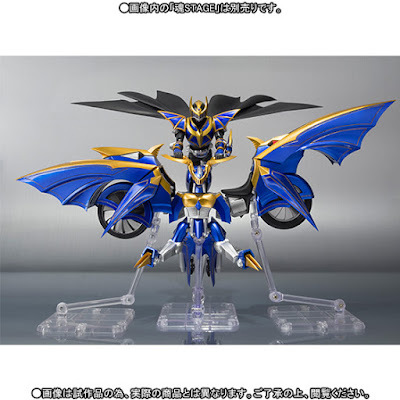 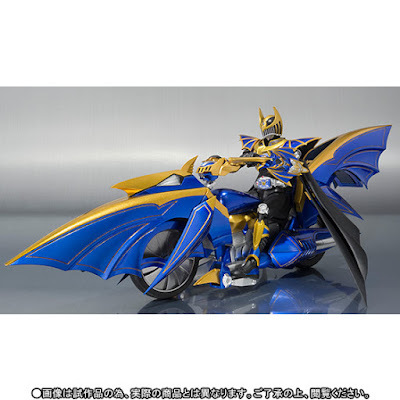 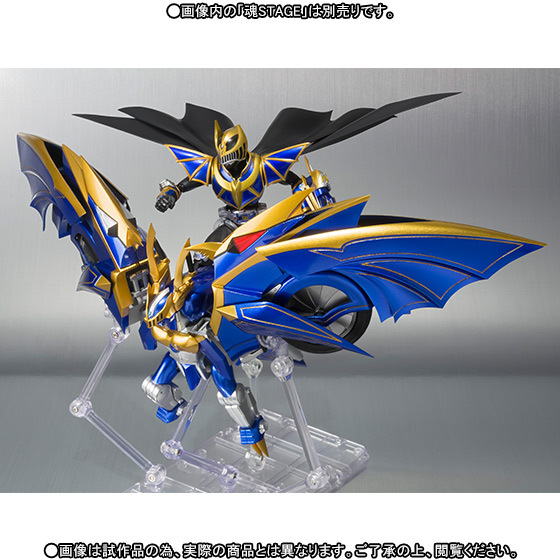 But if you already have the Knight Survive figure in hand, the single release will only come at 11,800 yen and this will be released this August 2016 and will only include the Dark Visor and cape parts.